Do your students have an idea they would like to bring to market? Do they want to join a team to build and/or design an innovative concept? Encourage them to sign up for Devils Invent on the Polytechnic campus, March 23–25, 2018! 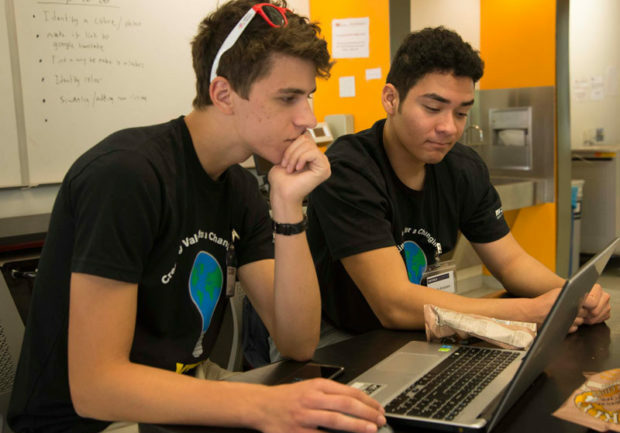 They can spend a weekend building a prototype and a pitch to present to a panel of judges. No particular theme, no limitations to their innovative creativity! May the best team win. Devils Invent is a series of weekend-long design events hosted by Entrepreneurship + Innovation at Fulton Schools where you can design, build and implement innovative solutions to challenging problems submitted by community and industry partners. Questions? Contact Anthony Kuhn at anthony.kuhn@asu.edu. Sign up to help check in participants, set up rooms, prep teams for check-ins and more. Receive a free t-shirt and food! Student orgs who volunteer can earn Dean’s Funding points! Help our students hone their ideas at Devils Invent by being a mentor, or sign up to be a judge! 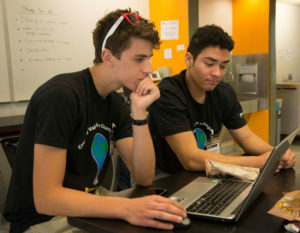 Mentors provide expertise, advice, guidance and troubleshooting to student teams related to their solution or concept. Students might also need help in narrowing their idea’s scope. Judges spend five to seven minutes at each team’s table as the team pitches their final innovative solution or concept. Student teams will be assessed on how innovative, scalable and technically sound their idea is in addition to the organization of the team and presentation.